← Was C.S. Lewis Wrong about His Own Conversion? One of my first posts on A Pilgrim in Narnia was the confession that I had not really ever read John Bunyan’s classic The Pilgrim’s Progress (1678). I’m pretty sure I had pretended to read it. I had played the protagonist, Christian, in an amateur musical in college but had skipped the book. I had always, like the weak-willed character Pliable, gotten stuck in the Slough of Despond (page 23 in my edition). In this way, I had never progressed, and may have been one of the reasons I felt so lost in first reading C.S. Lewis’ own journey, The Pilgrim’s Regress (1932). Whether it is a literary accomplishment or not I have, finally, read Bunyan’s allegorical travelogue—not just the story of Christian, but the sequel about Christiana (his wife) and her children. I was spurred on to Bunyan again by a colleague, Dr. Shannon Murray, who studies Bunyan’s work as children’s literature. What surprised me about Murray’s work is the journey of The Pilgrim’s Progress as literature itself. At a recent presentation she gave, she noted that Bunyan’s illicit conversion narrative was met with indignation by his educated coreligionists. People who liked the content of the Progress—those who agreed with Bunyan’s work as a spiritual handbook—blamed it for not being Milton. Almost immediately there was an adaptation published in Miltonic verse to counter the “vulgar” Bunyan original. 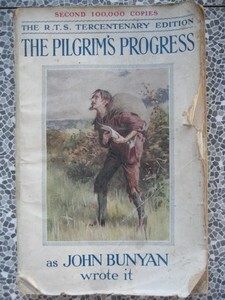 “For over two centuries, The Pilgrim’s Progress was essential reading not in the university classroom but in the nursery, adopted by children who, like Louisa May Alcott’s Jo March in Little Women (1868), revelled in the journey and the adventure of Bunyan’s allegory. As a children’s book, it was so common that Frances Hodgson Burnett, L.M. Montgomery and Mark Twain could assume a basic knowledge of Christian’s journey from the City of Destruction to the Celestial City…. 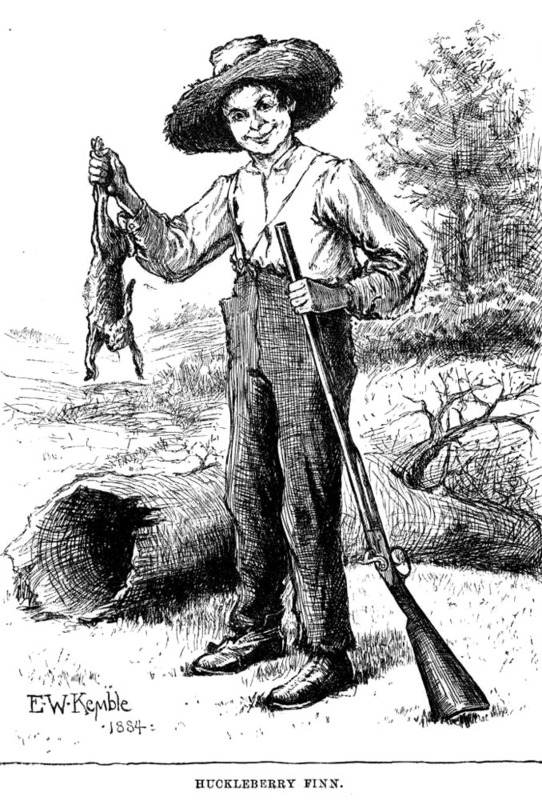 While Emily in Montgomery’s Emily of New Moon (1923) is proud to have both read and enjoyed Bunyan’s allegory (the only book her devout aunts let her read on Sundays), Huckleberry Finn famously judged that the allegory is ‘about a man that left his family, it didn’t say why. I read considerable in it now and then. The statements was interesting, but tough’” (Shannon Murray, “A Book for Boys and Girls: Or, Country Rhimes for Children: Bunyan and Literature for Children,” in The Cambridge Companion to Bunyan, 120). Though I probably had an advantage going into the book, like Huck Finn I thought there were some tough things in it. There are pages of doctrinal discussions, the allegorical characters splitting hairs over issues that even I—who have studied evangelical theology—can’t see the significance of the distinctions. My biggest struggle might be that I found the middle fifty pages of each book to be a bit dull. I can’t for the life of me figure out why everyone gets married near the end of Christiana’s tale. Moreover, the Progress doesn’t capture the subtleties of temptation that make the path of Christian pilgrimage so very dangerous. Vanity Fair, for example, is garish and obvious. The real temptation of consumerism, however, is the warm bath of normalcy, where the shocking reality that we treat people like transferable commodities is a simple matter of everyday policy. I suspect that an allegory simply can’t capture these subtleties without losing its universal appeal. Rather than tough, though, when I got past the doctrinal minutia I actually found much of the book easy to read. “Vulgar” language has not changed much in the 325 years since it was written. I only had to look up a couple of words and I knew all of the allegorical allusions. And yet, As Murray notes, Bunyan’s Christian allegory is now part of the university curriculum, and I suspect many students find it a challenging read. 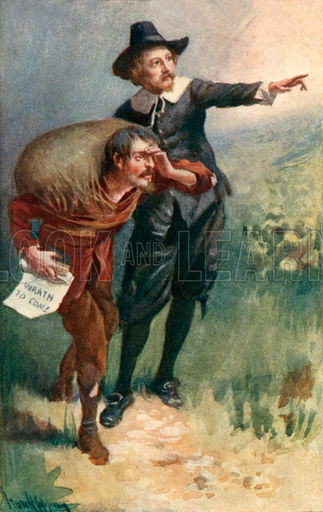 The Pilgrim’s Progress is also the benefactor (or victim!) of adaptations designed to make it more accessible. Most people who encounter Christian’s story, I would guess, encounter it through popular versions like Enid Blayton’s The Land Far Beyond (1942) or the Marvel Comic adaptation (1993)—both of which I have actually read! So the literary history of The Pilgrim’s Progress is an intriguing one. It began as a street-language Christian handbook, and then migrated toward the nursery, being one of the few good books that children could read (especially on Sundays). By Mark Twain’s time, even though the story is well known, a Huck Finn character might find the language a bit of a challenge. A generation later Lucy Maud’s Emily character can be proud that she is able to read and understand what was once a children’s book. About that time The Religious Tract Society of London is printing an evangelistic version, with some obsolete words translated and eight colour illustrations, for “readers of every class” (4)—the version that I have. As the century moves on, the university takes up Bunyan’s Dream as an academic study. Now Bunyan is hard, intellectual, historical, and best fed to us in short bits with colourful pictures (or stage musicals with a bad actor as the leading man). Tyndale imagined his translation as “vulgar,” and now the King James is the height of English poetry and requires a sophisticated readership. We ease into Shakespeare in high school, training our brains to appreciate plays that were enjoyed by the street class illiterati who paid a penny to stand and watch. I wonder if there is more to our struggle with the classics, though, than the normal evolution of language. When I read C.S. Lewis’ The Pilgrim’s Regress for the first time in 2011, it was a real struggle. With hundreds of often un-translated French, Italian, German, Latin, and Greek words and phrases, Lewis’ little spiritual allegory is intimidating. Rereading it again this year, having educated myself in Lewis’ world and works, and it is much more approachable. This realization leads me to suspect that had I taken up Bunyan’s travelogue two years ago I would have struggled more than I did. Not only has language moved on, but so has education. We are simply less educated than the readers of the past. In either case, despite having conquered Bunyan’s “Similitude of a Dream” I have more literary backfilling to do. I wonder if Marvel Comics has a Milton. Actually, according to Foxe, he said, “I defy the Pope, and all his laws; and if God spares my life, ere many years, I will cause the boy that driveth the plow to know more of the Scriptures than thou dost!” But, as you know, language does evolve! This entry was posted in Reflections, Reviews and tagged books, C.S. Lewis, children's literature, Education, English Literature, fantasy, John Bunyan, John Milton, literacy, Shakespeare, The Pilgrim's Progress, The Pilgrim's Regress, Tyndale. Bookmark the permalink. Thanks for the great background on the masterpiece, and for your reflections on it. Personally, I don’t mind reading versions that update language, even though I have little problem “deciphering” the archaic language. It just makes it more accessible, which was, of course, one of the very desires of the author! For example, I enjoyed watching the film “Coriolanus,” but still found the Shakespearean language distracting. Sadly, your statement that we are less well educated than our predecessors is an unfortunate truth. Do you think we are hopelessly uneducated? I read Chaucer updated, even though I could go through him line by line (in the same way I read Homer in English, not Greek). It’s a big jump from Chaucer to Shakespeare. Shakespeare I ease into, like a tingly hot bath. Chaucer is me stuttering along! I am so delighted to have discovered your blog! I taught a high school class on the works of CS Lewis for several years — I can never get enough of him. 🙂 On a note re: Chaucer to Shakespeare — it’s a HUGE leap. Reading the Middle English is enormously satisfying but often like reading a foreign language. It remains the accomplishment I’m most proud of in my undergrad days (a time close to the Dark Ages, truth to tell). Most of my students thought Shakespeare was writing using Old English (egad!) until I showed them Beowulf. Are we hopelessly uneducated? I wonder if the bigger question is this: are we hopelessly illiterate? Great to bump into you (digitally)! I can muddle through Chaucer with a ME translator nearby, but Beowulf is another language altogether! “Literacy” is an interesting word. We are obviously evolving new literacies, but I think we have lost some key ones. Language is an interesting point. I don’t have Latin, but I should have. I’ve had to learn enough to understand case and personal pronouns, while looking up words and trusting in translators for verbs. I should have Latin. I do have Greek and French, as well as some German and Hebrew (both written only). At one time I would be anemic in academics when it comes to languages; now it seems I am blood rich (even without Latin). With the loss of languages, though, we lose a kind of literacy that can’t be replaced by the ever-helpful Google translate. Learning the language not only gets us into older texts and ideas, but changes our brains, the way we think. It also changes the way we read English. Rabbit trail. But I hope we aren’t hopelessly illiterate, even if our evolving literacies are in deficit. Maybe, but even so I would love to see it try. “We ease into Shakespeare in high school, training our brains to appreciate plays that were enjoyed by the street class illiterati who paid a penny to stand and watch.” Thank you for mentioning this! It’s something so many students never seem to realize. On the allegory thing, I’ve been toying with that idea. Lewis’ “The Pilgrim’s Regress” is very specific, and thus quite difficult and weird. Perhaps that’s why it falls apart. Are students afraid of Shakespeare? I’ve been afraid of Milton, but loving it now. 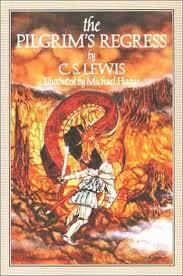 I haven’t read The Pilgrim’s Regress, yet, but Lewis sometimes writes very autobiographical allegory. I wonder if that isn’t why it is so specific.